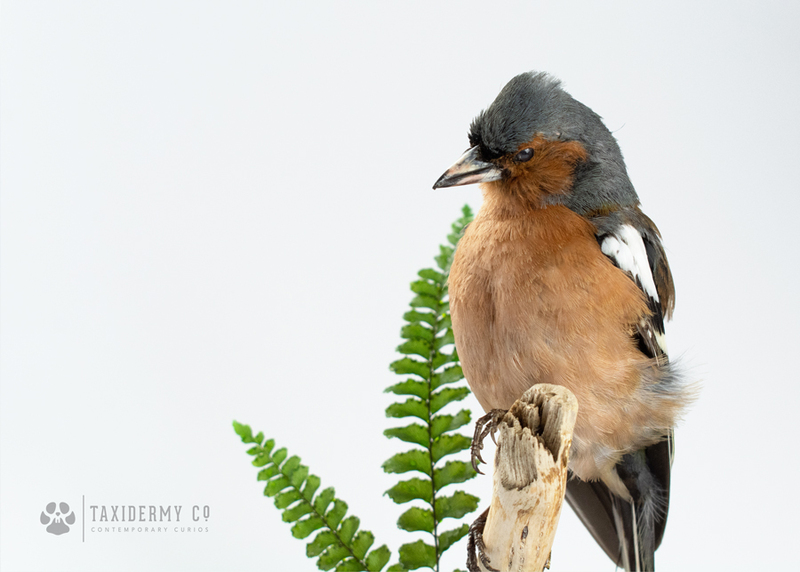 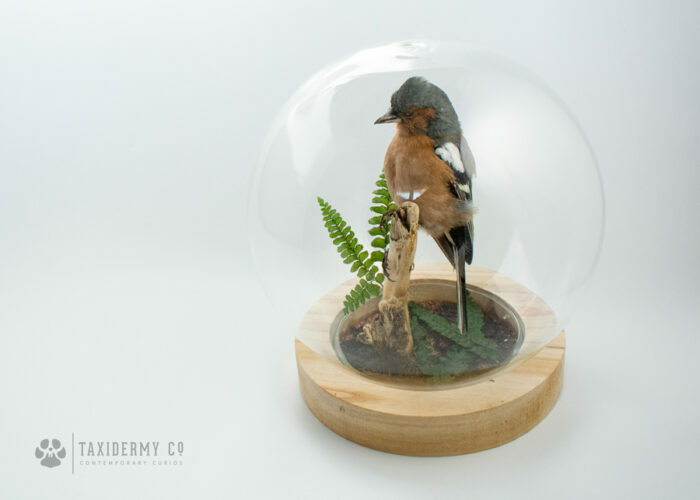 Vibrant Taxidermy Male Chaffinch (Fringilla coelebs) under a glass ball dome. 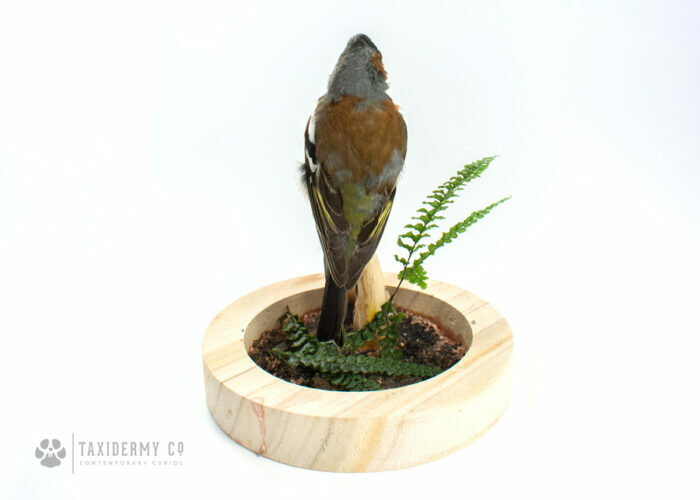 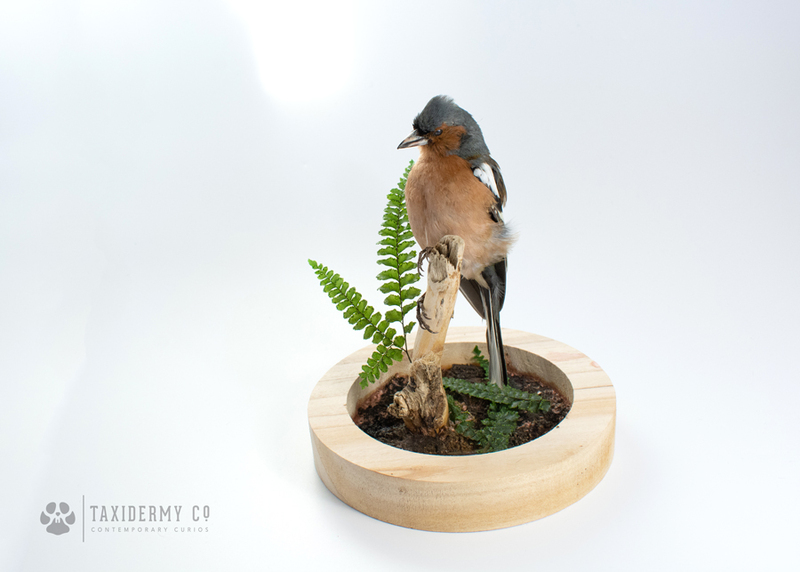 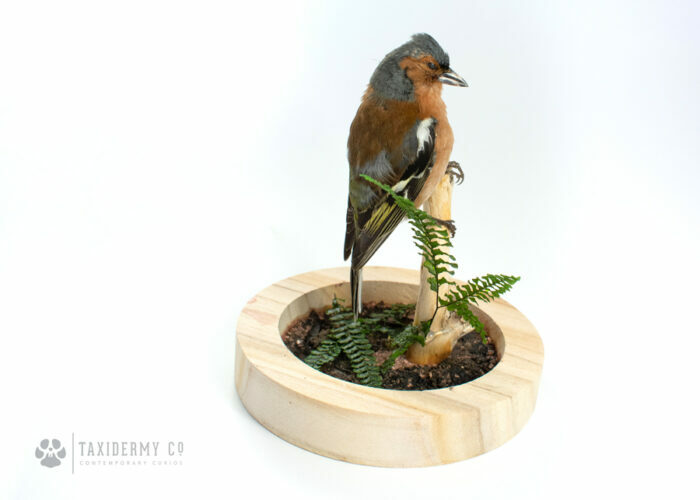 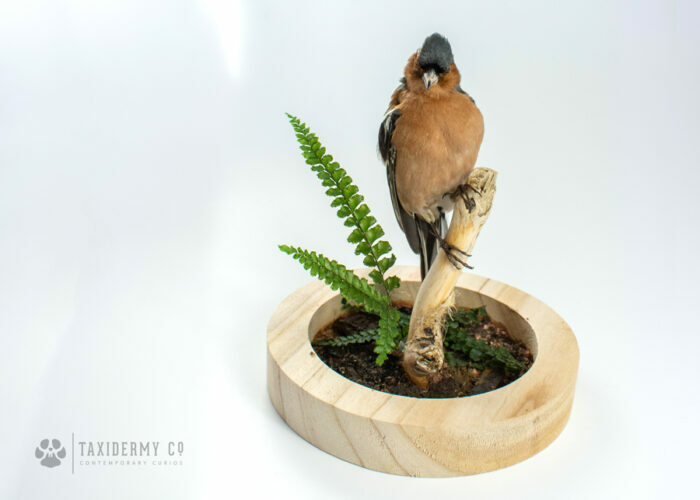 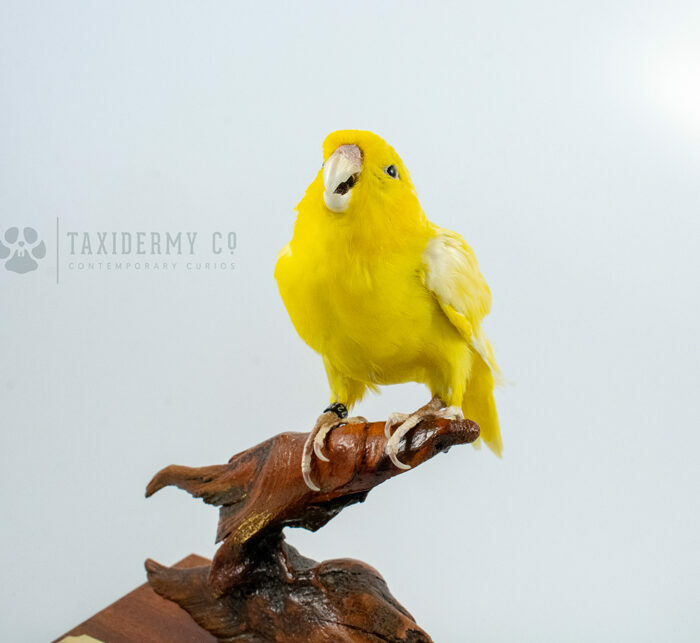 He’s perched on to a wooden branch with some foliage on the base. 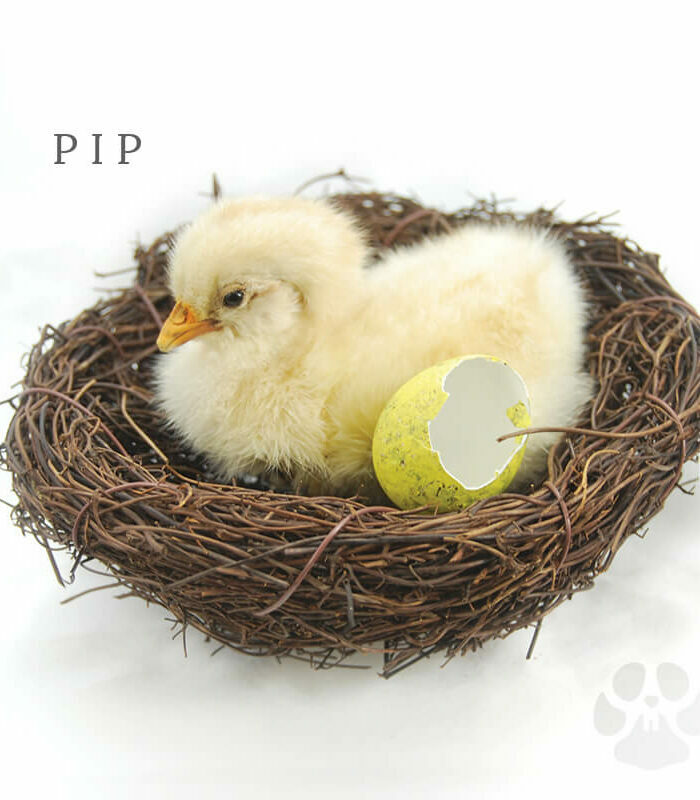 The Chaffinch is the UK’s most common bird! 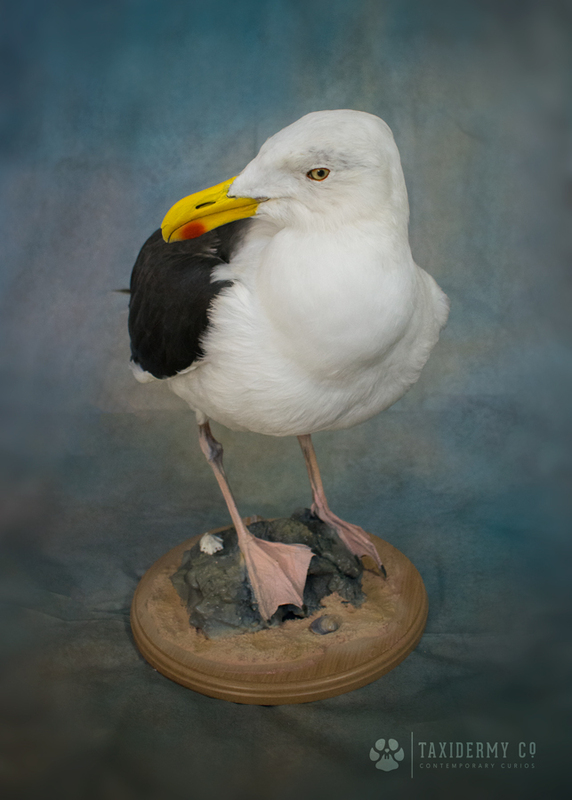 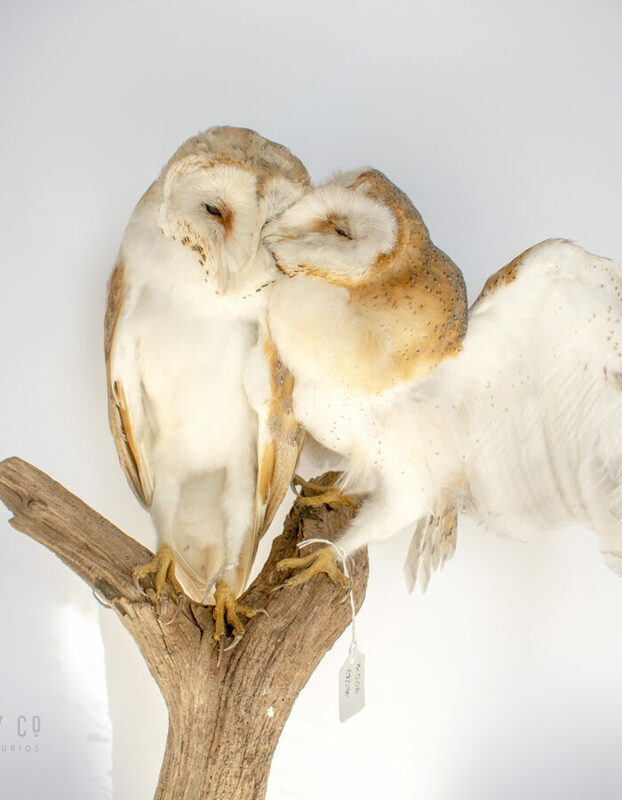 Free collection is available upon request.